A Vision Tour walks guests through a patient appointment, as well as explains more about our mission and the reality of abortion in our community today. We feel it is important for those in our community to see firsthand the excellent facilities and incredibly talented staff we have. 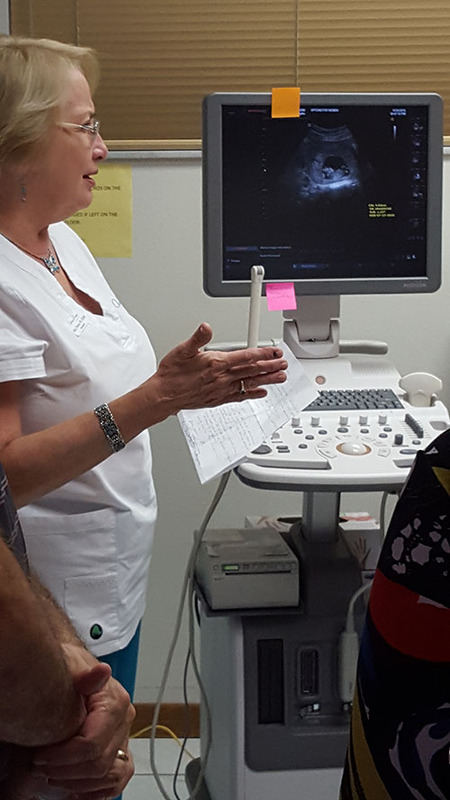 Each tour lasts about 45 minutes, allowing you the opportunity to learn about our history and mission, the reality of abortion today, the information our patient advocates share, and allows you to see our ultrasound room and learn from our nurses. We have regularly scheduled Vision Tours each month. To join one, call or email Marilyn today. We can also bring our Vision Tour to you. While you won't be able to see our office firsthand, we can still share the important information about who we are and what we do with your group. We are also opening our tours to Youth Groups, their leaders and their parents to educate them with the truth instead of what is being fed to them from a secular stance. Email Marilyn to schedule your group today.